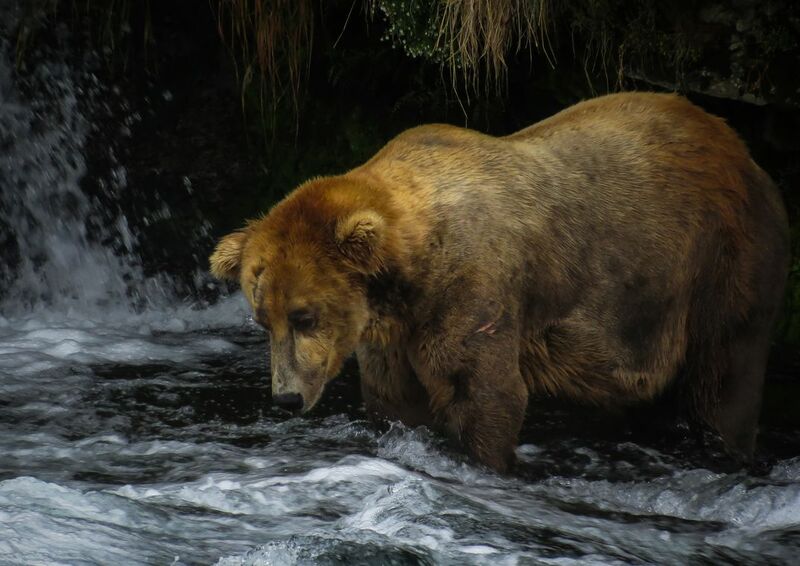 An Alaskan Brown Bear in Katmai fishing one of the pools below Brooks Falls. He had just gotten in a fight with another huge boar and had won this prime fishing spot. Nothing to do but wait for a fat salmon now. Date Uploaded: Oct. 16, 2015, 10:25 p.m.